The decision regarding the post of Opposition Leader was taken by the Speaker after extensive study and probing ideas and views of local and foreign experts and traditions followed by other democratic countries in the Commonwealth, the Speaker's office in a press release stated yesterday. Letters sent by former General Secretary late Prof. Viswa Warnapala and incumbent UPFA General Secretary Mahinda Amaraweera dated 01-09-2015 and 06-08-2018 as well as their recommendations were also taken into cognizance in making this decision. Furthermore, the proposal containing standing order no 47(1) 6 adopted on September 5 by 143 members of Parliament was taken into consideration in making this decision, the release said. “It has been observed that certain Opposition members had criticised the decision taken by the Speaker regarding the post of Opposition Leader and used it to publish malicious and defamatory statements against the Speaker through the media. They have made these false allegations without understanding the different backgrounds which existed during the appointment of opposition leaders on earlier occasions and the appointment made of the first time under under a national government concept the release added. 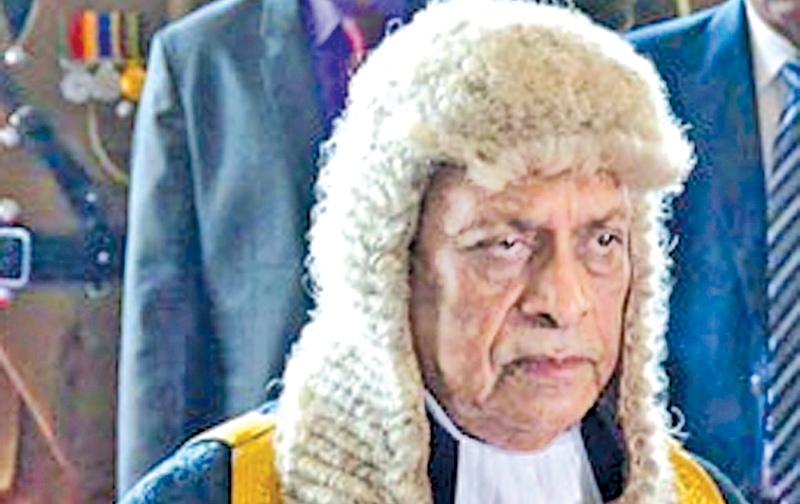 The release said speaker Karu Jayasuriya had acted independently devoid of political considerations and without succumbing to any pressure since he accepted the post on 01-09-2015. He has not visited an office of any political party including the UNP and always acted apolitically in an independent manner. The normal traditions in democratic countries in the world is to accept the Speaker's decision or else take the next necessary step regarding it in a democratic manner. Without doing this just because one's opinion was not accepted, attacking opposing views and character assassination of individuals and subjecting them to degrading criticism would not be condoned by a disciplined and cultured society, the release said.